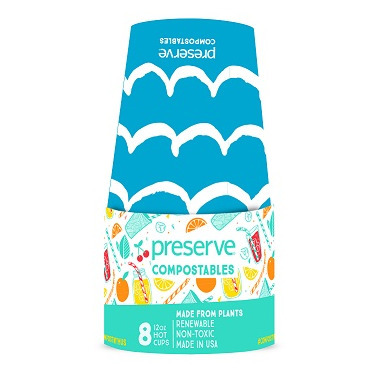 Preserve Compostables Hot Cups are made from plants and return to the soil when the party is over. These 12 oz cups are suitable for hot and cold beverages. They are non-toxic and manufactured in the USA from renewable resources.